Raising daughters can be a challenging task! How will we ever teach them everything they need to know? View Table of Contents & Sample Chapter "An Honest Woman"
Polished Cornerstones gives you hundreds of different ideas for Bible study projects, reading material, and practical, everyday activities to help prepare your daughters for godly womanhood (and to help them live godly lives as young women). 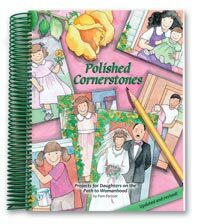 Polished Cornerstones is a tool that allows you to be flexible, choosing from a variety of projects to meet each daughter’s unique needs. Each chapter includes 3 levels of projects: beginning (age 4-9), intermediate (age 10-14), and advanced (age 15+) so you can start work in any area while your girls are young, and continue to disciple your older daughters with more challenging assignments. Each project is tagged to different school subjects it relates to so that homeschoolers can incorporate projects into their academic school day. Each chapter concludes with evaluation questions to help pinpoint weak areas, stimulate discussion, and lead to more specific prayer with and for your daughters. 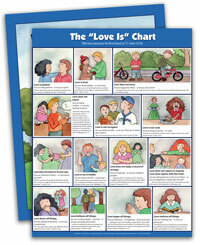 Includes many charts and forms to encourage serious family and independent Bible study. Your daughter will learn how to be a student of the Word as she completes these projects. Reproducible forms mean that one copy of this book will serve for all your daughters (and maybe even a few granddaughters!). A CD of PDF printable forms is included free when you order the book from Doorposts. This book is a resource that I refer to for all of my girls- from ages 6-19. It is written in such a way that it is applicable to any age! A word of warning- it is convicting! Many times as I was looking through and gathering my plan to use a certain topic, I found myself realizing that I have much room to grow too. I love how it is so scripture based and not psychology based. I recommend it for anyone raising girls. I have bought and used almost every product from Doorposts over the last 20 years so it was hard for me to choose a favorite. This wonderful book has helped me to learn how to study the Bible more than anything else I have ever read. I love, love, love the reproducible charts that are throughout the book. Highly recommend this and everything else Pam Forster has written. 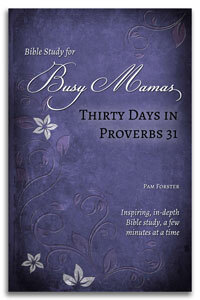 This is the most amazing Bible Study/ Guide for young girls and moms! You will never need any other! This book is so thorough and well thought out, I don't think I could ever complete all of the ideas in it! With that said, it's easy to go to any topic and choose age appropriate exercises to do with your daughter. Lots of ideas for how to use the book are included, as well as reproducible forms. Everything is linked to scripture! This book has been a blessing. We use both the ebook and print versions of Polished Cornerstones and Plants Grown Up. I use the print versions when I need to sit down and do planning, but the ebook could easily be used on a laptop instead. My main use of the ebook is for when I need to look up project details, scriptures, or teaching points on the fly and don't have time to run to my bookshelves. I love that the links in the ebook help me get around quickly as I can jump to related topics. The scriptures are linked out to an online Bible resource as well. We love print, but the ebook has been a really great addition to our parenting and homeschool tool set. If you don't feel like you need a print edition, the ebook could be used in it's place since it could be available on your laptop, iPhone, and iPad. So convenient! I LOVE this resource. As a mom of four daughters, I have used Polished Cornerstones for the last 13 years as an aide to teach godly character to my girls. We wore our first copy out and bought the new edition a few years ago. We love the updates! I devised a 10 year plan to use with each of my girls so that I would be thorough in teaching them all the virtues they need to live a godly life. Great book - I recommend it all the time! My very young daughter and I are just beginning to use this book. She is only 4, so I don't do much with her. Mainly I am using this book to better prepare myself for using it with her in the future. She can follow along with me for now. I have found it a great resource for myself! Helps me think & do things the way I should - because I have little eyes watching me!! It also provides me with a study guide that can be in depth (or as short as) I need it to be. Thanks Doorposts! I can't say enough good things about this book! Love it. I've used it as a character building study for my daughter for several years and have seen the fruits of our labor. With the range of activities, I'm sure we'll be using it for years to come! We have three girls (so far :-)) and LOVE that this book breaks down ideas and projects to use to teach and train beginning at very young ages. 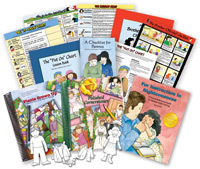 This has been so helpful to truly train them up since the days of their youth... :-) THANK YOU for all the work you put in to create such a wonderful resource for young mothers! May the Lord bless us all in our endeavors! I used this books years ago for my older 3 girls and am just getting it out for my 6yo. I don't know if I used it as directed, but here's what we did. I looked for areas my girls needed to grow in. I used those chapters focus on for projects and added them into unit studies where possible for school. I also had the girls mark their Bibles with the Bible verses. They still have their Bibles and enjoy their "character" marked Bible... and share it with friends. 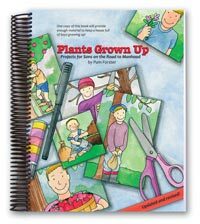 It's a wonderful resource to help you find ideas for areas your children need a little help on... saves Mom a whole lot of time in searching!!! This book has far exceeded my expectations! My husband and I will be foster parents soon. We are looking for activities to help show them the sinfulness of man, love of Christ, promote godly character and to help us organize our days. This book does all of these things! I have a five year old daughter and I purchased Polished Cornerstones a few months ago. I have been reviewing it this summer in preparation for the (home) school year and it is so amazingly wonderful! I come from a broken home and where mental illness, anger and unhappiness created a mixture of fear and misery. I knew that I wanted a different life for my children and our home is 180 degrees. Still, I did not have that foundation to be able to think of all the things included in this book. With the Lord's help, I found my own way after many, many mistakes and heartbreaks. My daughter will not experience those things thanks to people like the Forsters (Praise the Lord!). The book uses activities (not just readings), at all ages, to interest my daughter in the qualitites that I want her to develop. We will go through this book over and over as she gets older to do the projects for each age. The availability of the references and kits are very convenient too! Thanks for taking the time for putting such a wonderful book together - especially for those of us who don't have a parental example to follow!